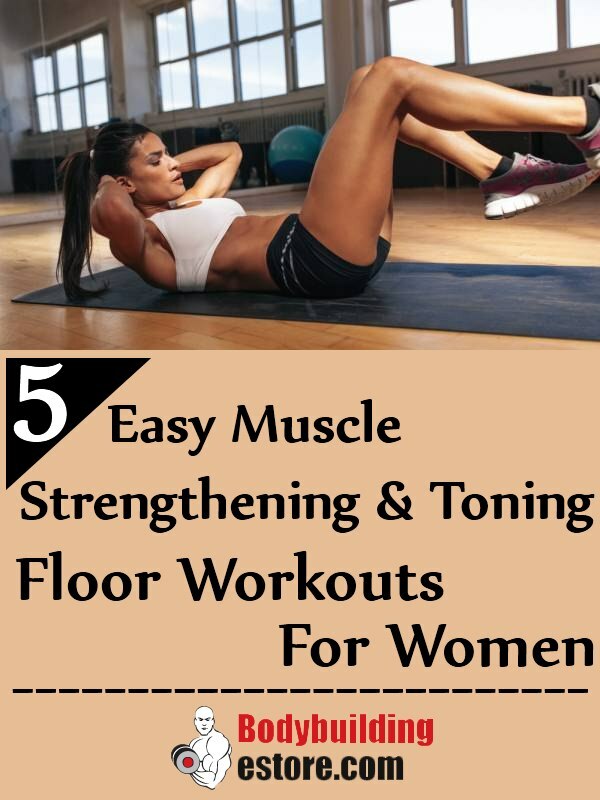 Women who do not wish to workout on machines or other gym equipment can try out a few easy to do indoor floor exercises. These exercises are equally beneficial, help in improving pelvic circulation, reduce congestion, tone and improve muscle strength, improve balance and offer great stability. These floor workouts are usually easy and can be done without professional guidance. These are available in great variety and help in improving overall fitness and health. These are specially developed for women, keeping in mind their body structure and fitness levels. To do this workout, you need to begin in a plank position. Your wrists should be kept under the shoulders. Your body should form a straight line from the top of the head to your toes. You can keep your abs and glutes engaged at this point. Slowly extend the right arm straight and stay in this position for at least one second. You can again use your right hand to tap the left shoulder. You can repeat the whole process with the left arm. Keep alternating sides. This exercise targets the core muscles and arms especially. It helps in keeping your muscles healthy and toned. Start by lying down on the floor. Keep your legs on a bench with your hands just behind the head. You can slowly flex and then twist the waist. This shall help in raising the upper torso to a side. You can again go back so that your shoulder are able to touch the mat. You can again change the direction of twist. You can do the same exercise, which will help in strengthening the muscles on another side of your body. This twisting crunch works to keep your body healthy and flexible. Start the workout by lying down comfortably on the right side. Keep your right forearm just on bed. Now, as you keep your feet and shoulders nicely stacked, you should be able to brace your core. Slowly move up your hips close to the ceiling as much as you are able to. You can then stretch your left arm and move it straight towards the ceiling. You do not have to touch the bed as you slowly move down your hips. You can get back to the start position. Keep your core tight and engaged as you slowly twist your waist. You will slowly move the left arm down and just under the body. You can get back to the start position. This shall be one repetition. You need to do the same workout for the next 30 seconds as you work on your opposite side. If you wish to make this workout a bit easier, you can place your foot just on top of the bed and in front of you. Crunches are one of the most popular floor exercises which offer amazing benefits. These help in reducing fat stored around the stomach and help in building abdominal muscles. To do a basic crunch, you need to first lie down on the back. You can lie on a thin carpet or a mat. Slowly bend your knees. Your feet shall be completely flat on the floor. If you are comfortable in doing crunches, you can also keep your feet well suspended in air. This shall make the workout little difficult and shall offer you a great workout. You can also place the arms just around the head. You need to sit up and quick bring your shoulders, neck, and head close to your knees. You should be able to pull the abdominal muscles as you do the crunches. You need to repeat this workout as many times as you are able to. The increasing number of repetitions shall help to build stronger and toned muscles. Start by lying down on your back in a comfortable position. Keep your hands just under the hips. Your palms shall be facing down. Now, slowly bring your feet up in the air. You need to point your toes. At this position, you should keep your legs as straight as possible. You need to keep your core engaged as you slowly lower the right leg down. You need to move your leg down and close to the bed with great control. You shouldn’t touch down and slowly pull your leg up to the start position. You need to repeat the exercise just on your opposite side. This shall make one repetition complete. You need to do this exercise at least four times.